When you think about golf tournaments in America, there’s one name that instantly springs to mind: The US Open. For many people watching the US Open live is like a yearly event that takes place in their home and it’s been a tradition for millions of people, even those who don’t necessarily play golf. The US Open has been the site of so many historical moments in sports and for 123 years, the prestigious event has showcased the best and brightest that golf has to offer. For the players, getting a chance to compete here is the equivalent of having ‘made it’ and it’s easily one of the most popular of the four Grand Slam events. We’re here to look back at the history of the US Open, including its very first introduction to the world in 1895. This annual spectacle, always held on Father’s Day, is by far one of the greatest events in the golf calendar around the world, and the US especially. As golf had mainly British players in its early years, the very first US Open held at the Newport Country Club consisted of mainly English players. The course was just nine holes and the players consisted of ten professionals and one amateur. The winner, Englishman Horace Rawlins, took home $150 cash prize and a gold medal, with his club receiving the Open Championship Cup trophy. Although it had humble beginnings, each year the US Open gained more and more notoriety. As the years went on, more and more American players competed in the event. John J McDermott became the first American player to win in 1911 and from them, US players dominated the event. From there, the US Open saw many American winners but it wasn’t the end of international players either. Since 1950, there have only been six other countries with players who won the event, other than the United States, so, for the most part, it has been mainly American golfers. Included in the list is South Africa, which has the most wins in international countries, with five victories. Each year, the US Open live tournament is played at a different site around the country. Its characterized by close scoring by the leaders around par, and the winner is usually victorious with a score around even par. These courses are rarely beaten too severely regardless of where they hold it, and there have been times in history where over-par wins occurred. The course is characteristically long when compared to other tournaments and within the course, there will be a lot of open roughs, undulating greens, and narrow fairways. Those golf resorts and courses who want to be considered to host the US Open often undergo extensive renovations in order to be chosen so that their features match the style of the event. Some future sites that have been chosen to host the US Open live are 2019 Pebble Beach, 2020 Winged Foot Golf Club, and 2021 Torrey Pines Golf Club. Rees Jones is a famous ‘Open Doctor’ who undergoes transformations of courses so that they meet the requirements of the Open, and makes sure there is acceptable space for spectators and local infrastructure within the town that means it will be able to host the event. Each year, the US Open allows 156 players on the field and it is open to any golfer of professional status or amateurs with a USGA Handicap Index less than or equal to 1.4. 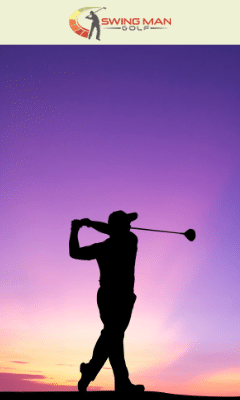 Both male and female golfers are invited to play with no limit on age, and they will be successful for a place on the field for being in one of the following exemption categories. Winners of the last five years Open Championship, Masters Tournament, and PGA Championship. For those who aren’t in any of the above categories, they must enter the Qualifying process which takes part in two stages. The first stage is a local qualifying over 18 holes, played on one of 100 courses around the country. Secondly, the Sectional Qualifying stage which is a 36 hole game at a site in the US plus one in Europe and Japan. ​Winning the US Open means getting a share of quite a sizeable purse which makes it even more of a desired tournament to play at. The 2017 prize was $2.16 million with an overall purse of $12 million, and Brooks Koepka was the winner. The 2018 prize was again $2.16 million and Koepka was skilled enough to take home the prize for a consecutive year. In addition to winning the cash prize, the US Open offers golfers a chance to earn privileges that can put him in place to win more. The winner will be automatically invited to play in The Open Championship in Britain, the PGA Championship, and the Masters for the next five years. In terms of the US Open, they will be exempt from qualifying for another 10 years. When the golfer turns 50, they will then receive an automatic invitation to some of the senior majors that occur. They can choose three of the five that are on each year, as well as automatic invitations to the US Senior Open, Senior British Open, and Senior PGA Championship. As one of the world’s oldest and most challenging golf tournaments, it’s no surprise that there is plenty of history surrounding the US Open. Here is some interesting trivia surrounding the event and its past winners. Four players hold the record for the most wins at the US Open: Bobby Jones, Willie Anderson, Ben Hogan, and Jack Nicklaus. They have all taken home the trophy four times. The youngest winner of the US Open is John McDermott who was just 19 years old when he won. The oldest winner of the US Open is Hare Irwin who was 45 years old when he took home the prize. Tiger Woods holds the record for the largest margin win when he was victorious with 15 strokes in front in 2000. The best comeback story was Arnold Palmer who managed to come back from 7 strokes during the very last round to win the event in 1960. There are five golfers who have managed to win one of each of the four majors but never in the same year. Hogan, Nicklaus, Woods, Sarazen, and Player are the skilled players who can make this claim. In 2014, there were a record number of golfers who qualified for the US Open, 10,127 to be exact. Andy Zhang made history as the youngest ever qualifier for the US Open when he was 14 years old. Oakmont Country Club in Pittsburgh holds the record for being the town that’s hosted the Open the most times, with a record nine times as host. 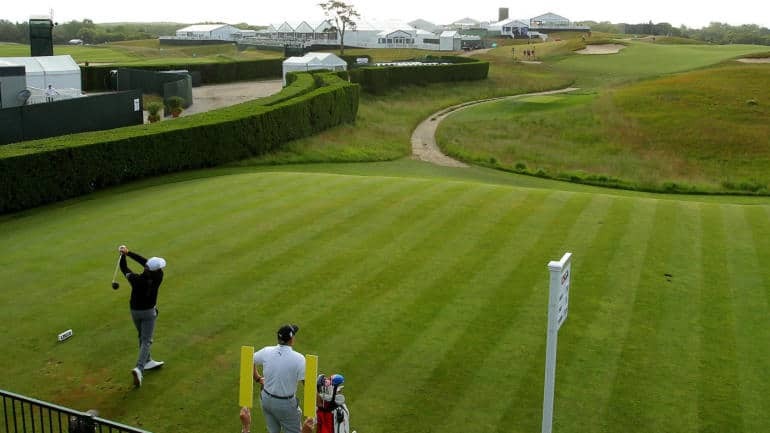 The US Open is one of the first events you think of when talking about golf tournaments, and this long and challenging course has seen many historic moments and players on the field. With 123 years of tradition behind it and many more to come, it’s hard to say just how much more we will get to see during this iconic tournament. Winning the US Open is something that most golfers only dream of. 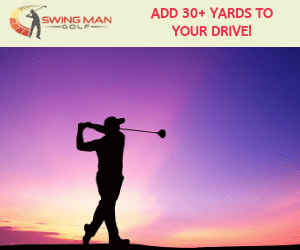 Not just for the great prize pool either, as it grants you exemption into some of the world’s biggest tournaments and allows you to truly skyrocket your career in this sport. There’s no doubt that the US Open will remain a favorite among Americans, and its annual place on Father’s Day has made it a nationwide tradition, even for those dads who don’t usually watch golf. With the 2019 event due to be held at the iconic Pebble Beach, there’s no doubt it will go down as one of the best in history.